Nikon has reputed name in the world of digital cameras and it has a proven track record of providing quality gadgets. This time they have introduced this amazing gadget, Nikon D300. It has some unique and outstanding features which make the users to get attracted towards it. There are several digital cameras available in the market that amazes the people due to their extraordinary attributes and excellent design. The all new Canon PowerShot G11 is now available in almost all the stores. Canon has an important gesture among almost all the digital camera companies. Most camera of Canon has some uniqueness with outstanding features. This time they have launched Canon EOS 7D with some really enhanced features. It is completely a unique design which especially made by considering the demands of several photographers. Leica X1 is a brother of Leica M9 and they have launched this fine device with some really enhanced features which can fascinate any camera lover. 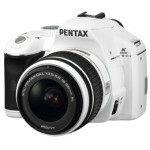 It is a compact digital camera with outstanding features and functionalities. The new Panasonic Lumix DMC-GH1 is a real and creative digital camera from Panasonic. Lumix DMC-GH1 is equipped with latest technologies and excellent features that make it completely distinguishable from its counterparts. Like all other Panasonic cameras, this particular camera has video recording facilities. New to Canon this year is a unique image processor, DIGIC 4. The processor enriches color depth of the images, while compressing the total size. The bus speed is faster in general and it is less likely to hang and slow down photo capture than the previous models.